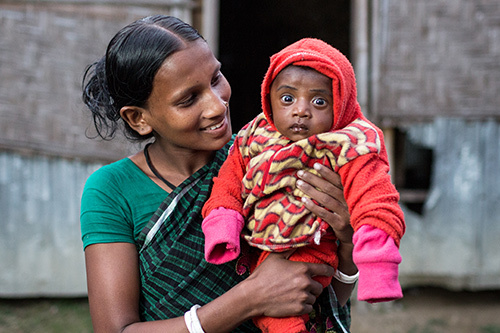 CHANTI HAZRADANGA, Bangladesh – Traditions run deep in the indigenous communities of north-western Bangladesh, where many people are reluctant to seek professional medical care during or after pregnancy. 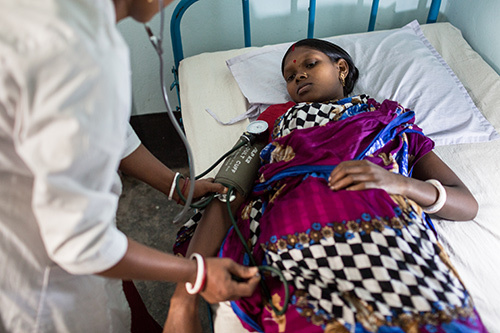 But a clinic in the village of Chanti Hazradanga, in Panchagarh District, is helping to change minds about maternal health – and is saving lives in the process. This meant a majority of deliveries took place at home, with only a traditional birth attendant present. Unlike skilled birth attendants – such as doctors, nurses or midwives – traditional attendants have little, if any, training and are unable to handle dangerous pregnancy complications. Indigenous communities in Bangladesh have found themselves increasingly marginalized and isolated from public sector services, including health care. As a result, indigenous people are one of the most medically at-risk groups in the country. 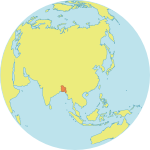 The Santal community has a population of approximately 225,000 in the districts of Thakurgaon and Panchagarh. 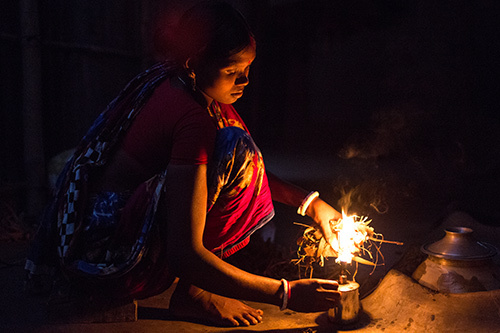 Like many of Bangladesh’s indigenous groups, the Santal community uses traditional health practices to treat diseases and ailments – and some of these practices carry grave risks. Mina Mormu, 21, saw the tragic consequences of this practice first-hand. “When I was giving birth to my first baby in 2010, there was no clinic here. I delivered the baby at home, and we gave him a bath,” she said. The clinic opened in February 2014, with a mission of improving maternal and child health in the area. It is supported by the Government of Bangladesh and UNFPA, which provides the equipment, medicines and staff training. Ms. Yeasmin, who received training from UNFPA and the Obstetrical and Gynaecological Society of Bangladesh, says one of the biggest challenges is not just providing expert care but convincing the local community to seek care in the first place. A door-to-door awareness campaign has helped, she added, and progress is coming steadily. Ms. Mormu is one of the newly convinced. “I’m now nine months pregnant with my second baby. I don’t want to take any more risks, so I will have my baby at the clinic. I’ve already started receiving antenatal check-ups,” she said. She safely delivered a son, Badhan. Both mother and baby received post-natal check-ups to ensure they remained healthy. Ms. Kisku has also decided to take advantage of the clinic’s voluntary family planning services. “Since I recently learned about family planning, and I don’t have enough money to care for another child, I will not have any more babies,” she said.